Fashion ring made from Swarovski and Czech rhinestones. 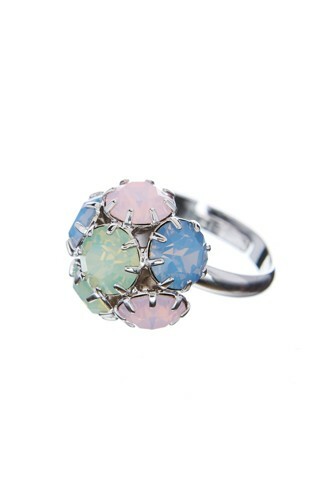 Mix of blue, pink and green opaline. Motive about 2.7 cm. Ring is adjustable. Rhodium plating.